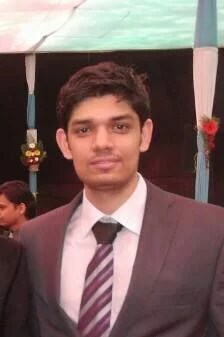 Dr. Amit Achyut Ban has secured Rank 14 in Maharashtra PGM-CET 2015. He has done his MBBS from Seth G.S Medical College and KEM Hospital, Mumbai. Ans. Persistent Hardwork and family support in whatever I decided to pursue. Ans. Internship was hectic.Could not study in my internship. Ans. NEET results came late and it was august/September 2013 when I started studying seriously. Ans. Theory part I read retrospectively for most of the times and few very important topics from textbooks. Ans. Physiology, Pathology, microbiology, short subjects, PSM, Pharmacology and surgery. Ans. Self created notes were very much beneficial for me. Ans. DAMS test series. It helps to keep doing your subjects in a time-bound manner. Q. In which field do you want to specialize in? Ans. Not the ideal person to tell because it took me three attempts to crack the exam but Persistent Hardwork is essential. But it doesn’t mean that u can’t have your leisure time.Just keep up to your schedule. Ans. Multiple exams are helpful in a way that we can have multiple opportunities. But considering a particular exam, it should be the same for everyone and on same day,which AIPGMEE fails to do for last three years. We are ending this interview with our hearty congratulations and best wishes for future to this talented person, Dr. Amit Achyut Ban. When u got rank 15000 in 2013 & 5700 in 2014 did u changed ur strategy of preparation afterwards, like switching from aiims, all india previous papers’ guides to subject wise guides or vice versa or u just kept revising subject wise guides over all these years? Guys Did you try this app for MHCET Preparation ? which is very useful and good for Test preparation..you could download it from google play store….STUDMONK MHCET..